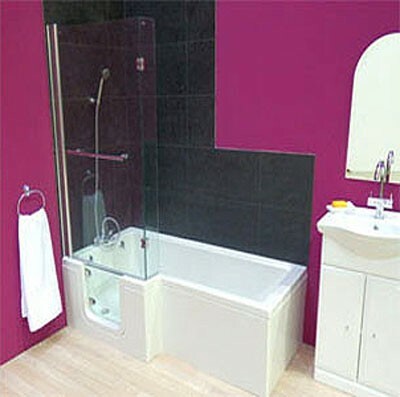 Mantaleda > Savana Walk In Shower Bath With Left Hand Door (Whirlpool). Savana walk in shower bath with left handed door entry, bath panels, glass screen, 12 whirlpool jets and under water lighting. Left handed door entry (watertight). Space saving inward opening door (10mm thick toughened glass). Anti slip base to the shower area. 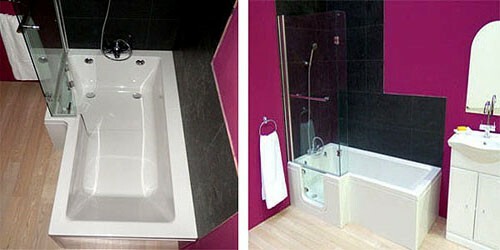 1 x Toughened safety glass shower screen with bright silver pillar and handle included. Bath size 1670L x 850W mm.